An educational film on climate change is getting far reach, gaining an audience in the northern regions of Canada. An animated film originally released in 2010, “Odyssey 2050” tells the story of an alien spacecraft visiting an ecologically destroyed Earth in the near future. Produced by a pair of Perú-born directors – Daniel and Miguel Bermejo – and including an appearance from Costa Rican astronaut Franklin Chang, the film is intended to educate children on the repercussions of climate change. A Canadian-born resident of Costa Rica, Bruce Callow, decided the film would be insightful watching for members of the indigenous communities in northern Canada. “It’s a lot like the tropics in that the changes are not so subtle,” Callow said in a phone interview. Callow had originally worked on the film as creator and executive producer while he was working for one of its sponsors, the British Embassy in Costa Rica. He showed the film at a workshop for the Junior Rangers at the end of June. Affiliated with the Canadian armed forces, the Junior Ranger organization hosted the workshop in the annual Junior Rangers summer camp at the Canadian Armed Forces Base Valcartier near Quebec City. 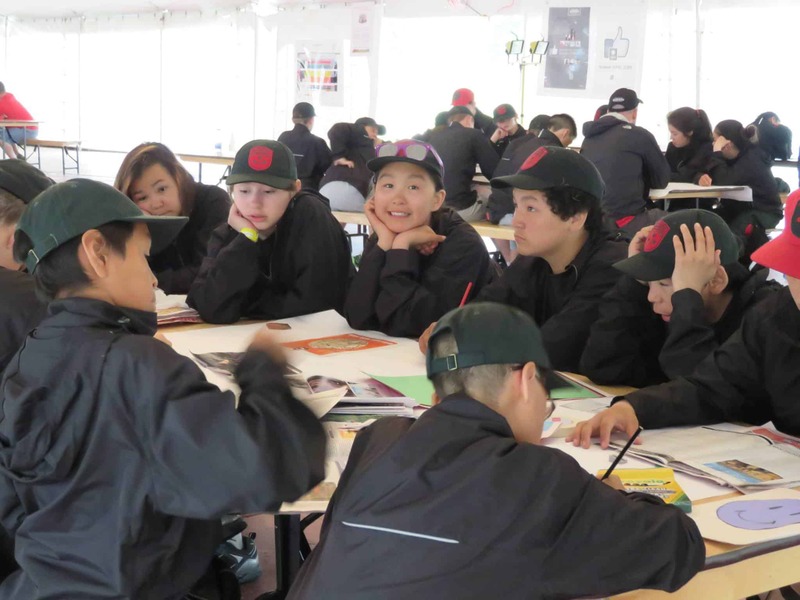 The Junior Ranger attendees were 280 12- to 18-year-olds, including Inuit, Cree and Innu communities. “They had a lot to teach us about how climate change is affecting them and their communities,” Callow said. The melting season is changing, the overall polar ice is shrinking and a surprising intense heat now settles over the area in the summers. The goal of the workshop was to get students talking about the effects of climate change and to have an opportunity to broadcast their own ideas. The students will make their own version of an Odyssey 2050 film and write letters for a time capsule to be opened in 2050. Callow shared one of these in an email, which had a much more optimistic tone about the future than the grim story told by the fictional aliens in the film. I was super excited to do the interview for Odyssey 2050 in Québec. My great gratitude towards making this world a better, safer life for the inhabitants and the animals. May you make this world whole again. My hopes and dreams follow you. Callow said he was struck by the challenges the indigenous communities face both being in the direct path of climate change as well as their historically disadvantaged position. He said there were many similarities to the situation of the native communities in Costa Rica, as well. The English language film is below. A Spanish language version can be seen here. A rocket landing in Tortuguero?